South side of Ballingdon Street just west of the bridge over the river Stour and east of footpath bridge that crosses Ballingdon Street. Ballingdon Street (near Railway Station). The gift of Lady Banbury. This is almost certainly MDFCTA structure . My only reservations is that some of the MDFCTA records describe this trough as 18ft, which could be a typo for the actual size of 8ft. Also, although it is recorded as the gift of Lady Banbury is lacks the normal inscription and there is no mention of Edward Arnold in the MDFCTA records. 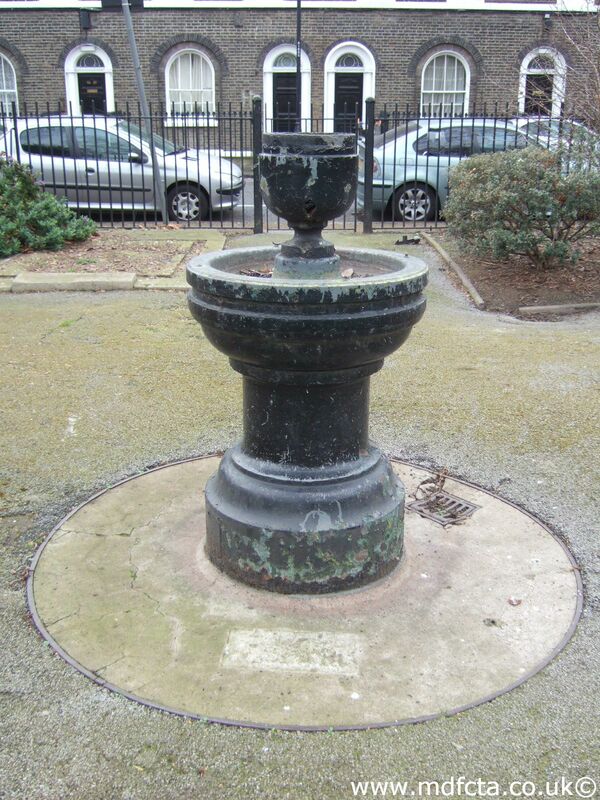 One of a number of troughs erected to commemorate the coronation of King George V.